Welcome to Ready, Set, Grow Inc! Prices based on a weekly tuition. All infants have their own unique schedules; therefore your infant will be cared for according to their individual needs. We will keep a record of your infant's daily routine; which will be given to you at the end of each day when the infant is picked up. We would appreciate any information about your infant's overnight sleeping pattern and his/her morning feeding schedule. 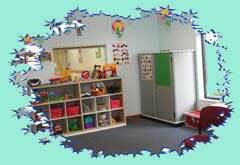 Our toddler room is a very loving and nurturing environment for children 15 months – 24 months. Play time is still a very important part of a toddler's day. It is during play time that we will help facilitate sharing, manners, and socialization. The baby sign language will carry over from the infant room to the toddler room. The children will also be introduced to colors, numbers, shapes, and letters. Everyday, the children have exposure to books, music, and art. They will also have plenty of time to move around and practice their large motor skills, whether it be outside or in the gym. We do begin potty training any toddlers who are willing to sit on the potty chair. Two year olds are full of energy and excitement to learn and explore. 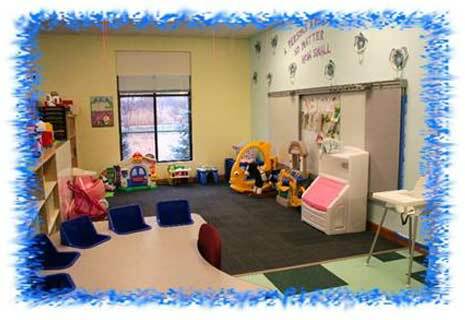 When a child enters our 2 year old room, they will be introduced to many concepts that will prepare them for preschool. 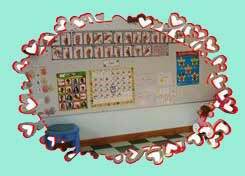 The children will learn all about letters, numbers, counting, shapes, colors, and sign language. These concepts will be covered as a group and during individual time with the teacher. Each day, the twos have a circle time. It is during this time that they learn valuable skills such as taking turns, listening, sharing, and patience. These skills will also carry on through play based learning. While the children are playing, the teachers will help facilitate learning experiences. The two year olds environment is rich in literacy, art, and music. They will also have time each day dedicated to developing their large motor skills either outside or in the gym. Program description coming soon. Please call for information about our 3-5 year old program. There are no poistions available at this time. Please try back shortly. Thank you. We offer competative wages for all qualified employees. (2) Email us your resume and position you are applying for. * Teachers must have at least a bachlors in early childhood education. Every child will get that extra special attention they deserve. We not only do fun things for birthdays and holidays, but we also have fun day's planned all year like pajama day, crazy hair day, super hero day. We have lots of room to play & grow! We give a chance during non-business hours for parents along with their children to spend time with us. We hold special events during holiday seasons and other times of the year so that we can all 'Grow' together! We also bring in professional photographers twice a year and annually hold a graduation ceremony for all pre-school graduates you will surely enjoy.